People may think of asthma as a childhood illness, not one that’s much of a problem for adults. Yet of the 22 million Americans who have asthma, only 9 million are children. Every day in America, 5,000 people visit the emergency room, 1,000 are admitted to the hospital, and 11 die due to asthma. Of course, asthma doesn’t always require hospitalization. It may cause only occasional and short-lived symptoms, such as breathlessness, coughing, or wheezing. 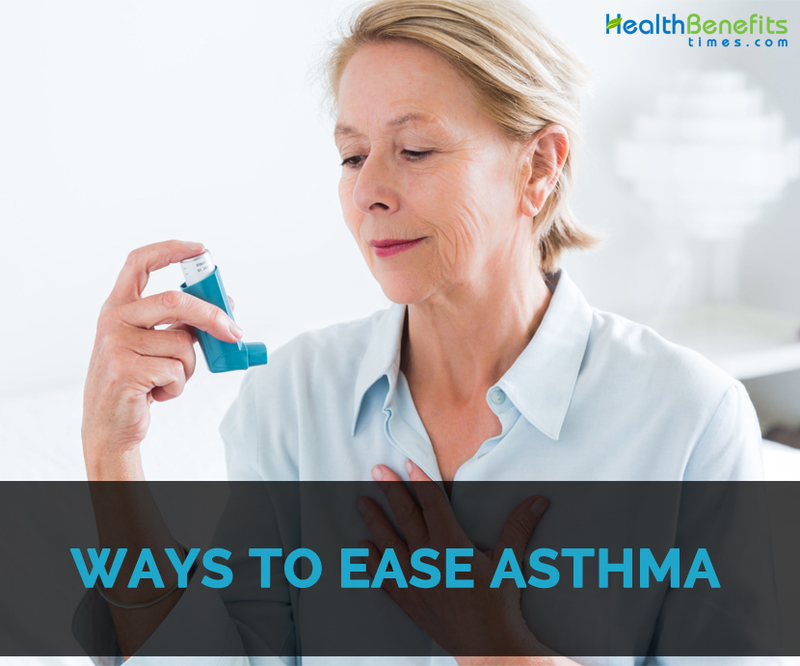 But unless your asthma is well controlled, it can interfere with normal activity. In fact, a person with “mild asthma” can have a fatal attack. Asthma occurs when the bronchioles (main air passages in the lungs) becomes inflamed and more sensitive to triggers. During attacks, the lungs produce extra mucus and the bronchiole walls narrow, making breathing difficult. No cure exists yet, but nearly everyone can dramatically reduce—and maybe even eliminate—symptoms. Even if you currently use medications to treat your asthma, you may be able to reduce the dose or frequency by more than 50 percent if you practice good lifestyle control, says Thomas F. Plaut, M.D. Here are some doctor-recommended approaches. More than 70 percent of adults with asthma have allergies that set off or worsen symptoms. “Everyone who takes medications daily for asthma needs to find out if they have allergies,” says Dr. Plaut. Think about when your symptoms occur and what you are doing at the time. Any patterns may help indicate if people have an allergy. One might want to keep an asthma journal. A board certified allergist can identify allergens by taking a careful history and performing skin testing for inhalant allergens which includes pollen (grass, tree, weed), dust mites, mold, cockroaches and pet dander, says David Lang, M.D. Food allergies are suspected to be associated with asthma, but rarely confirmed, says Dr. Lang. Generally allergies influencing your asthma symptoms are those that are inhaled. That said, an estimated 5 to 10 percent of asthmatics suffer from a sensitivity to sulfites, which are often added to wine, beer, dried fruit, and frozen food. It’s a main asthma trigger. Plants pollinate at specific times of the year, so once known that are triggers, take steps to avoid them. Stay indoors between 5:00 a.m. and 10:00 a.m. and on dry, hot, windy days, when pollen counts tend to be highest. During the warm months, keep the windows closed and air-condition house. Doing these two things can cut down on the indoor pollen count by 90 percent or more, says Dr. Lang. Air conditioning eradicates the high indoor humidity that upholds mold and dust mites. Ragweed is the most common pollen allergen for Americans. This plant’s season runs from August to November, usually peaking in early to mid-September. Check local TV or newspaper for daily pollen counts to determine when it’s best to stay inside. Mold is a common asthma trigger, and it thrives in bathrooms and other high-moisture area, so good ventilation is essential. Use the bathroom fan every time while bathe or shower to reduce the moisture that mold needs to thrive. Using a squeegee to wipe water off the bathroom tiles is a terrific strategy for preventing mold—and takes only about 30 seconds, says Dr. Plaut. Strong food odors—from a smoking frying pan, for example, or the pungent oils in onions and garlic—can irritate airways and trigger asthma attacks. Open the windows during low-pollen months or use an exhaust fan while cooking to help vent the odors outside. Despite the name, these microscopic creatures live on the dead skin cells in home. When they die, their bodies dry up and are ground into dust. They’re a potent asthma trigger—and because people shed millions of skin cells every day, dust mites are hard to eliminate. They can, however, be reduced. Wash pillowcases, sheets, and bathroom towels at least once a week in water 130°F or hotter to kill adult mites as well as the eggs, says Dr. Plaut. “It’s also important to encase pillows, mattresses, and box springs in covers made specifically to act as a barrier against dust mites. These covers are found at allergy supply stores,” he adds. These products are available from companies such as American Allergy Supply, National Allergy Supply, and Allergy Control Products. A good air purifier, ideally with a HEPA filter, can really help clear indoor air of allergens, says Elson Haas, M.D. Studies have shown that cockroaches—which thrive in the same areas as humans—can trigger asthma. Like dust mites, its dry, dead bodies and feces turn into dust and can trigger an asthma episode, says Dr. Plaut. Cockroaches are difficult to get rid of, even if house is always squeaky-clean. One of the safest ways to control roaches is to spray boric acid in areas where they congregate—around drainpipes, for example, or along kitchen and bathroom baseboards. “Don’t have an exterminator spray the house if one can help it,” says Dr. Plaut. The fumes can irritate the airways for days that worsens asthma symptoms. Many asthmatics are very sensitive to chemical exposures at home and work, adds Dr. Haas. Cigarette smoke is extremely irritating. It not only triggers asthma attacks but also can increase the risk of asthma in children. If people smoke, then take the benefit of nicotine patches, prescription medications or smoking-cessation programs. Let others know that smoking in the house is verboten. Fight the inflammation that accompanies asthma by eating foods loaded with flavonoids—tiny crystals present in onions, blueberries, apples, and grapes that give them their yellow, blue, or reddish hues. Flavonoids not only strengthen the capillary walls, but also act as antioxidants, and so it protects the membranes in the airways from being damaged by pollution. Eat a couple of servings of flavonoid-rich foods every day. Preliminary research shows that diets containing the fatty acids gamma linolenic acid (GLA) and eicosapentaenoic acid (EPA)—found in such fatty fish as salmon, sardines, tuna, and mackerel—may improve the quality of life in people with asthma and decrease their reliance on rescue medication. Plus, studies show that fish oil lowers reactions to allergens that trigger attacks in some asthmatics. Other studies suggest fish oil supplements may prevent exercise-induced asthma attacks. “ Best natural sources of omega-3s are fish, especially salmon or other cold-water fish,” says Dr. Plaut. Fish oil capsules are a good alternative, but they can cause “fish burps.” “This can usually be avoided if the capsules are taken frozen right before a meal,” he adds. Magnesium levels are frequently low in asthmatics. Research shows that taking a supplement may improve lung function and reduce reaction of the bronchial passages. Extra magnesium may help to decrease muscle tension and airway spasms, explains Kendall Gerdes, M.D. 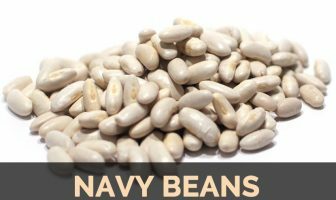 But high doses of magnesium (350 milligrams or more) can cause cramps, gas, or diarrhea for some people, so prefer what gut will allow. Dr. Gerdes suggests starting with 100 milligrams twice a day and increasing it gradually until one experience some of these side effects. Then cut back the dosage a level at a time until problems subside, and then hold that dose. Make sure to take a form of magnesium that can be easily absorbed by the body, says Dr. Gerdes. Magnesium citrate, magnesium chloride, and magnesium glycinate are all good options. Note: People with heart or kidney problems should be sure to talk to doctor before taking supplemental magnesium. An active lifestyle can help control asthma much better than a sedentary one. Physical activity helps improve lung capacity and may enable people to use lower doses of medications or to use them less often. All asthma patients should discuss a fitness program with their physicians. It is important to first warm up either by stretching, jogging, or sprinting for 20 to 30 minutes before exercising. Yoga, self-hypnosis, deep breathing, and other techniques for reducing stress are good techniques for dealing with asthma because they help the airways open more fully, says Dr. Plaut. The upward surge of stomach acids results the telltale pain of heartburn which could trigger the asthma attacks. One of the best ways to prevent heartburn is to eat four or more small meals daily, instead of two or three large meals, says Dr. Plaut. Also, don’t eat 2 hours before bedtime. To help prevent stomach acid from going “upstream,” create an incline by raising the head of bed 4 to 6 inches by putting blocks under the top legs. One can also treat heartburn with over-the-counter antacids or acid-suppressing drugs, such as cimetidine (Tagamet) and ranitidine (Zantac), or proton pump inhibitors (Prilosec). Millions of Americans get sinus infections every year, and the inflammation and mucus drainage can make asthma worse. Sinusitis often requires treatment with antibiotics, but one is able to prevent infections by flushing sinuses at home, says Dr. Plaut. Mix ½ teaspoon of salt in 1 cup of warm water. Put the solution into a plastic squeeze bottle (found at drugstores), a neti pot, or a measuring cup. Use the solution to rinse out one nostril, then repeat with the other nostril. People susceptible to sinus infections should repeat the treatment at least once daily. If one is prone to infections less often, flush sinuses only at the first sign of a cold or when allergies are worse than usual. Don’t ignore early signs of asthma attacks, the symptoms such as coughing, wheezing, or faster breathing that seems to be mild at first. Use rescue medication promptly. It will help reverse airway narrowing before the attack gets more serious, says Dr. Plaut. Many inhalers have a built-in dose counter. When people medication to control asthma, the worst thing is to discover that inhaler is empty right when one need it. To prevent this, put a piece of masking tape on the inhaler and make a mark on the tape every time you use it. If you take a medicine on a regular basis—for example, two puffs a day—you can calculate the date it will run out simply by dividing the total number of doses in the inhaler by the number of puffs one take in a day. Available at allergy supply stores and catalogs, the Doser attaches to metered inhalers and automatically keeps track of how many doses people have left. This flavonoid is extracted from certain fruits and vegetables, such as apples, onions, and the white rinds of citrus, and helps reduce the histamine reactions that can lead to asthma. Quercetin can also be taken as a supplement, says Dr. Haas, who recommends 250 to 300 milligrams twice or three times a day along with 500 to 1,000 milligrams of vitamin C. At higher intakes, vitamin C has a mild antihistamine, antiallergy effect. Because asthma is a serious, individualized condition, it’s a good idea to talk with doctor before making any changes to treatment plan, he adds.